Software development is fun and there is no doubt in that. But when we talk about how a software developer spends his/her day, then it’s definitely not a smooth ride. When you are creating products that are going to solve problems of a huge amount of people, you have to expect challenges on a day to day basis. 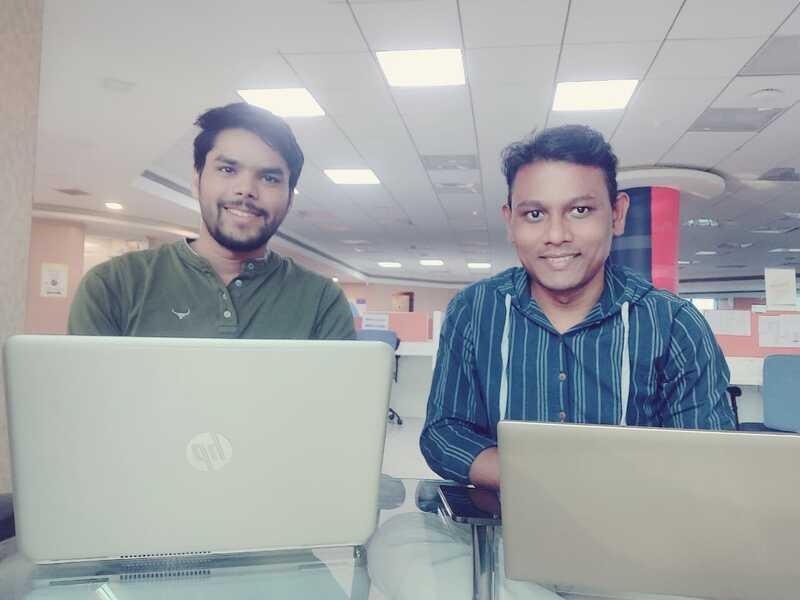 So, to get a clearer view of a software engineer’s typical day and for this week’s “A Day In The Life Of” series, Analytics India Magazine had an exclusive interview with two brilliant software developers from HealthFin, Akash Meshram and Vivek Sthul. The duo, Akash and Vivek start their roles at HealthFin at 9 in the morning and they also work late night as they love working at that hour. Talking about the working place, Akash and Vivek love the atmosphere at HealthFin. “There are hardly any restrictions; the Organization is quite liberal, and we enjoy the atmosphere,” said the duo. On the other hand, Akash’s work consists of developing front-end for HealthFin Employees, customers and a portal for operations using Reactis. “Integrating front end with backend Python apps, developing dashboard consists of a various graphical representation of data for the analysis purposes. The dashboard requires a lot of data cleaning and analysis, and is quite a challenging project because the type of analysis we present is very intensive and inclusive,” said Akash. Talking about the company and whether it is making full use the duo’s talent, they said HealthFin gives them the privilege to implement their own ideas; an employee has the full authority to work on its own ideas which will help the company. Being part of a startup sounds fancy, however, it is not an easy task to manage the work-life-balance; it takes a lot of commitment. And it is the same with Akash and Vivek. But, having an employee-centric atmosphere, HealthFin never restricts its employees from taking frequent short breaks and relax. Personal life is fairly affected, but as this is a startup it is expected to happen the same way. the stress and work commitment are necessary. Even after working day in and out, Akash and Vivek always manage to take time out for themselves. So, when not coding or programming, the duo can be found playing Badminton or cricket. Akash loves music, so he can also be found at some singing session or learning guitar. Everybody has their favourite of a day and when we asked the duo about their best part of the day, the answers were completely different but really interesting. For Vivek, its “Chai Pe Charcha”, that’s what he has named the discussion session. “It is the Best part of the working day; we all discuss a lot of things which is not included in regular work stuff,” said Vivek. On the other hand, Akash is more into getting things done. “I always focus on finishing the task as early as possible and if I get the solution in minimum time for the bigger tasks, it gives me immense happiness. I think that is the best part of the day for me,” said Akash. Akash at present is working on advanced analytics dashboards, and document verification microservices. While on the other hand, Vivek is working on multiple projects are active. However, for him, the most exciting part is generating a strong credit score on the basis of customer’s social life. “We want to arrive at these two things – the ability to pay and intention to pay. Now the ability to pay can be arrived at using credit scores, bank history, and transaction details and so on. It is difficult is to find whether a customer has the intention to pay. This is a very interesting challenge and we are accruing some good progress here,” said Vivek. When asked about the goals, Vivek wants to become a certified AI/ML programmer and create open source frameworks which other developers can use easily. And for Akash, his goal is to develop a platform where the process is fully automated with less human interaction and involvement and which is less time-consuming. Looking into the future, the duo wants to make HealthFin the best technological platform in the FinTech ecosystem that can process and disburse loans to the needy within minutes.